Texas Orthopedics: Celebrating World Physical Therapy Day Today! Celebrating World Physical Therapy Day Today! World Physical Therapy Day is today and is all about recognizing the great contributions that physical therapists make to keep people well, mobile and independent. 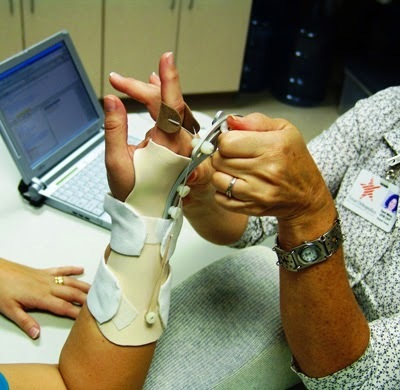 We have a great team of physical therapists, occupational therapists, and hand therapists that do a fantastic job (check out their profiles here). They perform comprehensive evaluations and develop specific treatment plans so that each patient can resume their favorite activities as quickly, safely, and independently as possible. By doing physical therapist you will learn exercises that are beneficial for gaining function, reducing stress, relieving discomfort, and preventing disability for future injury. You can find a complete list of conditions and services here. And keep up with Texas Orthopedics news by following us on Facebook and Twitter (@TexasOrthopedic).